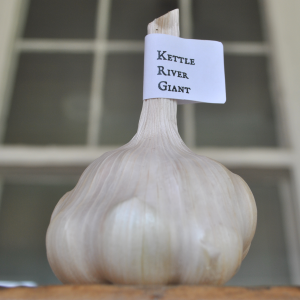 As the name suggests, Kettle River Giant garlic can grow some very large bulbs. Photo courtesy of Garlic Stone Farm. As the name would suggest, Kettle River Giant garlic is capable of producing some very big bulbs — in some cases exceeding 4 inches in diameter! It is an Artichoke garlic that comes from the Kettle Falls region of Washington State, with the long storage life typical of many softneck garlics but also a rich, full taste. 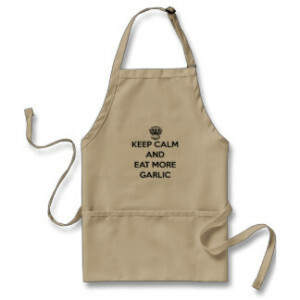 Like most Artichokes, Kettle River Giant garlic can tolerate hot weather better than most garlics, making it a good choice for growers in warmer states looking to expand past Creole garlics such as Creole Red and Ajo Rojo that typically fare best there. Bulbs and cloves are very large and Kettle River Giant is usually ready to harvest early to mid-season along with other Artichoke varieties. 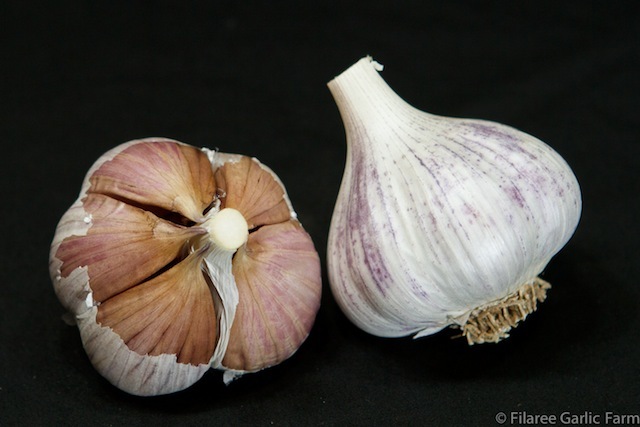 Some larger garlics fall short in the taste department but Kettle River Giant is well-known for its robust, full flavor, with many finding it similar to Inchelium Red as far as taste.